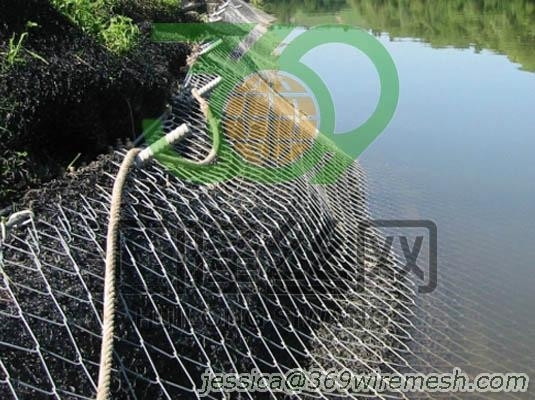 The TECCO® high-tensile mesh slope stabilisation system (boulder netting, flexible facing) stabilises steep, weathered slopes in place of concrete and shotcrete constructions and conventional net systems: After cleaning, leveling and profiling the surface, the TECCO® high-tensile steel wire mesh can be pretensioned on the slope at a defined force using soil or rock nails and spike plates. The mesh adapts to the topography and so prevents not only slides and deformations, but also breakouts. DimensioningWith our RUVOLUM® dimensioning concept, the optimal forces at the anchor points can be determined as a function of the geotechnical parameters, to provide the static verification for the overall system. The relevant software is available on request.